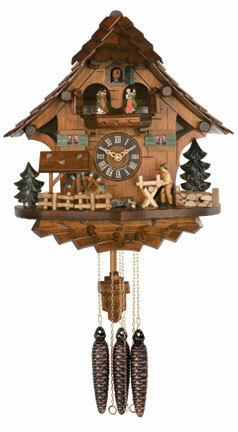 This one day musical cuckoo clock will delight the entire family! Couples waltz in and out under the little cuckoo as a man saws wood and a waterwheel turns. The clock measures 12." Great gift for the musician in your life.